The 8.9-magnitude earthquake in Japan is putting a spotlight on the nuclear power plants due to fears of a dangerous leak. The Fukushima Daiichi nuclear power plant was crippled by today's earthquake and an explosion at the plant is very serious. Widespread evacuations have been implemented and officials declared a state of emergency. Fukushima Daiichi was built 40 years ago by General Electric. The explosion was not nuclear [as in fission nuclear bomb explosion], but was created by hydrogen gas mixing with oxygen in the air. A spark ignited the hydrogen. The secondary containment structure around the reactor was partially destroyed, but the reactor itself remains embedded in concrete and steel. The nuclear plant's cooling system failed to function properly after the nuclear reactor lost power and automatically shut down. Japanese officials initially ordered 2,800 people living around the facility to evacuate their homes as a precaution. The Fukushima plant is near the city of Onahama, about 170 miles northeast of Tokyo. 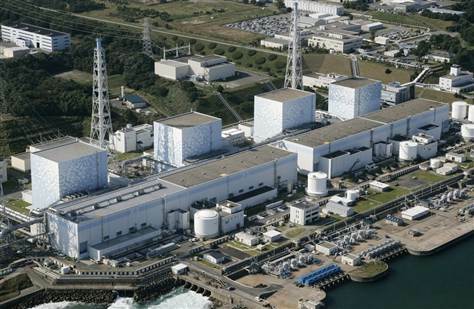 Japan's nuclear safety agency, Japan Nuclear Energy Safety Organization (JNES) has reported that pressure inside one of the boiling water reactors at the Fukushima Daiichi plant had risen well beyond normal levels. Hours after the evacuation order, the government announced that the plant, in northeastern Japan, will release slightly radioactive vapor from the unit to lower the pressure. Pressure was rising inside the Fukushima-Daiichi nuclear reactor after a backup generator also failed and the cooling system was unable to supply water to cool the reactor. The reactor core remains hot even after a shutdown. The explosion is serious, particularly if it involved the containment dome [see video of Japanese nuclear power plant explosion, above]. The Vienna-based U.N. International Atomic Energy Agency is reporting that the four other Japanese nuclear power plants closest to the quake have been safely shut down. The Fukushima Daiichi nuclear power plant is operated by Tokyo Electric Power Company. They initially evacuated about 1,800 residents living within 2 kilometers (1.2 miles) of the Fukushima Dai-Ichi No. 1 reactor as a precaution. According to the Emergency Information Center of the Nuclear and Industrial Safety Agency, residents within 10 kilometers were told to stay indoors. 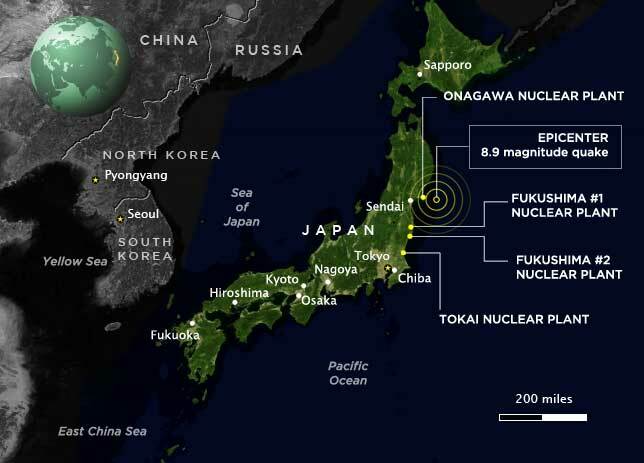 The earthquake and tsunmai forced the automatic shutdown of 11 of the country's 55 nuclear power plants.